jess williamson is a musician and photographer in los angeles, ca. I traveled to Broken Bow, Nebraska to see the total solar eclipse with my family. It felt like a dream. The experience totally exceeded my expectations and I hesitate to even try to describe it. I’ll say this: I can’t recommend it enough, it was completely worth the effort, and eclipse chasing might be my thing now? My sweetheart and I went to Big Bend Saddlery in Alpine, TX and he got us both hats. They are beautiful palm leaf hats handmade in Guatemala. They fitted and shaped the hats for us there in Alpine and I picked out a horsetail stampede string for mine. It feels extra special to me because it was a gift from him. I was convinced I ruined my camera when I took photos of the eclipse, because on the same roll of film the images before shooting the eclipse were crisp and the ones after it were soft. I knew it was risky to shoot into the sun and I did it anyway. A classic Sagittarius, I break things all the time, so I half expected this. But my camera repair guy took one look and it turns out my lens was just badly smudged! This was a pleasant surprise, but a little embarrassing. On the way back to my mom’s house in Dallas after the eclipse, we stopped at Turner Falls in Oklahoma. We all got in the water and even broke the rules and swam into a grotto behind a waterfall and climbed a mossy rock. I couldn’t believe even my mom got in and we were all together like that. It was one of those rare moments I’ve had only a handful of times in my life where I’m so overwhelmed by beauty and filled with love that I feel like I’m in heaven. This month has been transitory for me. I’m getting ready to move into my first official house in Los Angeles after about a year and a half of going back and forth between LA and Austin, so the last few weeks I’ve taken the scenic route back to Texas, sorted through furniture and other things I plan to take back to LA, and I’ve been trying to see as many people as possible. I haven’t been alone much at all, except for in the car. I’ve done so much solo driving. This whole month has been about time with friends but one moment that sticks out for me is when my friend Kari shot portraits of me for my new record. She is the kind of friend that will always be real with you. 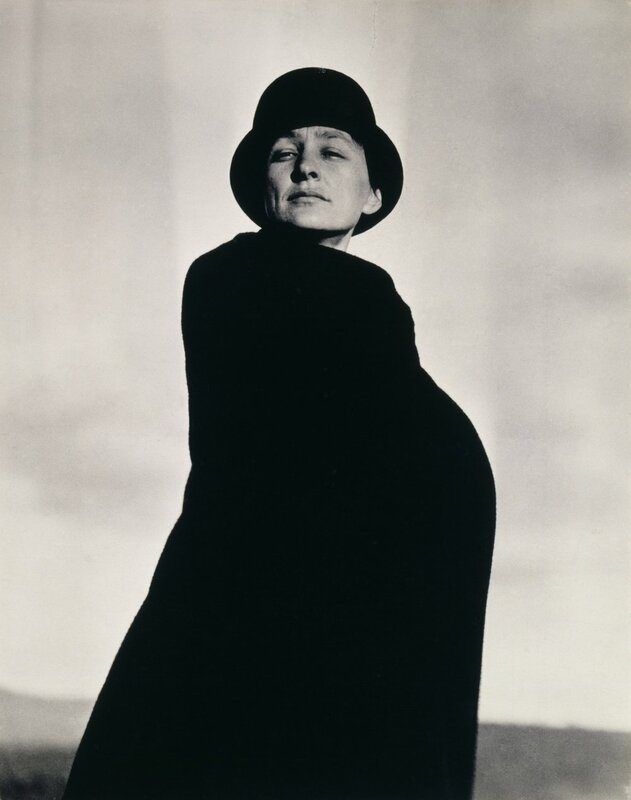 She made me change into her clothes, which looked way better than what I had picked out, she told me how to pose so I looked “strong” instead of “sad” (her words) and we geeked out over Stieglitz's portraits of Georgia O’Keeffe and Robert Mapplethorpe's portraits of Patti Smith. Movie: Had the privilege of seeing "2001: A Space Odyssey" at the Paramount Theater in Austin in 70mm! Obsessively watched local Houston news just after Hurricane Harvey struck and the city was flooding. Reread ‘Jesus’ Son’ by Denis Johnson. Currently reading ‘Hope in the Dark’ by Rebecca Solnit. Also, I scored and found what I think is a first edition copy of ‘Linda Goodman’s Sun Signs’ at a bookshop in Taos, NM. It’s the first astrology book I ever loved, but I’d only ever read excerpts from it online. Because I’ve been on the move so much this month, I’ve gotten a lot of joy out of cooking in other people’s kitchens when I can. The thrill of browsing aisles in the grocery store and the grounding practice of chopping vegetables or just making rice cannot be overstated! The little domestic things start to really matter when you don’t exactly have a house. Beyond that, I’ve been finalizing mixes and art for my next record, which feels creative and exciting and a little scary.